Hot on the heels of The Feeling comes our second release called Get Down, a guaranteed underground anthem for the summer. Tim delivers his trademark solid house beats, fat pads, a hooky female vocal and a driving bassline deeper than the Grand Canyons. 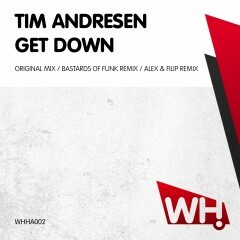 The remixes are made by Bastards Of Funk and Alex & Filip.